Winner of the Jane Graves giveaway! Thanks to everyone who left a comment on my interview with Jane Graves. The winner of Heartstrings and Diamond Rings is…catslady! Catslady, I’m sending you an email, so if you don’t get it then please check your spam folder. Everyone else, make sure you leave a comment on my interview with Jill Shalvis for a chance to win her latest, Animal Attraction – released tomorrow! 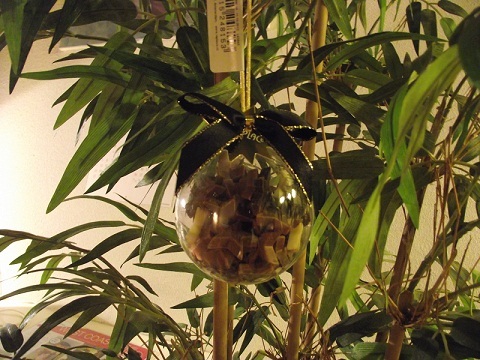 And a big, huge thank-you to Jane for the interview and giveaway! 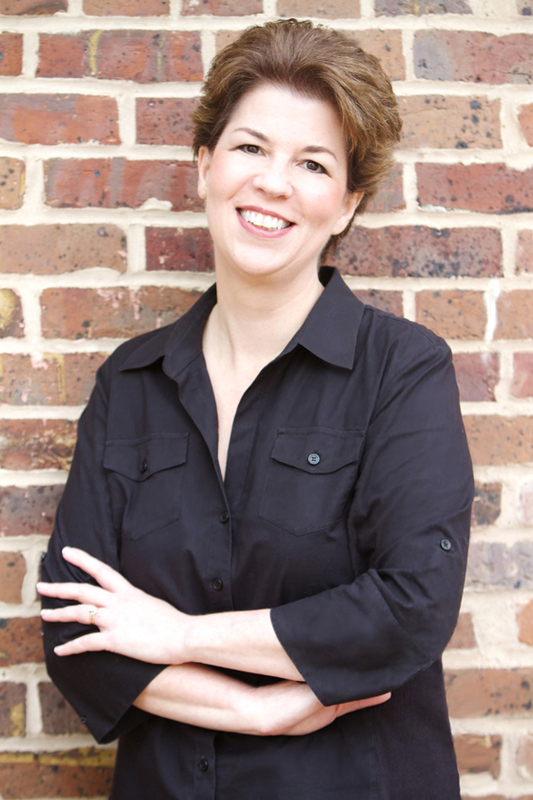 Interview with Jane Graves – and giveaway! I mentioned a couple of weeks ago that I got truckloads (okay, maybe more like two-suitcase-loads) of books from new-to-me authors at the RWA conference in June. 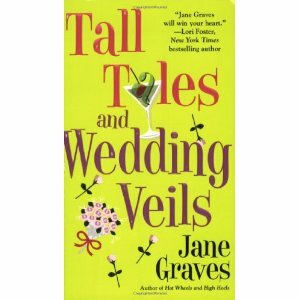 One of the great treasures I discovered in my suitcase was Jane Graves. Jane writes very clever contemporary romance that’s set in a world most readers could relate to. Her characters are the kinds of people you’d love to be friends with, and her stories have high emotional impact without being melodramatic. Her latest novel, HEARTSTRINGS AND DIAMOND RINGS, comes out tomorrow, and it’s awesome (you can read my review here). If you’re lucky, you might win a copy here! Jane, thanks so much for being here today. 1. Your novels are set in a very realistic world. Characters tend to have jobs in marketing and own bars, instead of being professional athletes or international businessmen. What draws you to portray “normal” people? I like portraying “the people next door.” Why? Because I’m one of them! It’s not that I’ve never written people with careers I couldn’t relate to. There was a time when some of my books featured cops, bounty hunters, and international spies. But you know what? All those people with unusual careers are somebody’s next-door neighbors, too, with hopes and dreams and vulnerable spots. My job as an author is to peel away their layers and get down to who they truly are inside. But in recent years, I’ve discovered that I prefer to write mostly ordinary people with ordinary professions. Sometimes those ordinary people have extraordinary problems, but in the end, they’re just like us, which makes them easy for readers to relate to and easy for me as an author to portray. 2. One thing I love about your stories is that you take familiar storylines but give them a twist. Your bodyguard in BLACK TIES AND LULLABIES is a woman, for example, and the matchmaker in HEARTSTRINGS AND DIAMOND RINGS is a man. Do you have a special way of brainstorming stories when you’re starting a new one? I just ask myself what readers will expect, and I do just the opposite. I might start with a plot twist that seemingly has no way out, or create a situation for a character that seems to have no possible resolution. Then I brainstorm until I come up with something that continues to move the story forward. I work under the assumption that if it takes me five days to come up with it, a reader won’t come up with it in the five hours it takes them to read the book, and they’ll be surprised. I do the same thing when it comes to creating characters. If they’re not unique, they don’t get cast in my stories! 3. In 1999, you were a Golden Heart finalist and sold your first book to Harlequin. What got you started writing romance in the first place? Would you believe I was well into adulthood before I ever read a romance novel? One day I was at the home of one of my daughter’s friends, and I happened to mention to her mother that I was writing a novel (at the time, a mystery). She asked if I’d ever read romance. I told her no. She took me to a big cabinet in her den, swept open the doors, and I saw a mega-keeper shelf for the first time in my life. She quickly pulled down five books and handed them to me. Three days later, when I’d finished all five, I was hooked. The first one I read was Judith McNaught’s A Kingdom of Dreams, and I remember thinking how incredibly entertaining it was. More than that, I thought, hey, maybe I can write one of these. And I did. 4. Do you have a special way of celebrating your release days? What will you be doing tomorrow? I’ll be celebrating with a really nice bottle of red wine. Then I’ll get back to that thing almost all authors do but few admit—checking for online reviews and monitoring Amazon rankings every two minutes. Truthfully, though, I’m more likely to celebrate big when I sign a contract for new books rather than when those books hit the shelves. That’s kinda the honeymoon phase, when the concept for the series seems so fun and intriguing, and I can’t imagine that I’ll do anything but breeze right through it. My publisher is giving me lots of money. I’m getting congratulations from fellow writers. Life is good. Then the honeymoon phase evaporates, the work begins, and I actually have to write the books. It’s like coming back from a week-long vacation at a five-star resort and having to do five loads of laundry. 5. You’ve been a RITA finalist seven times. Clearly you know a lot about how to write a fantastic contemporary romance! What elements would you say every contemporary romance should have? They should have what all great popular fiction should have–lots and lots of conflict. Sounds wrong, doesn’t it? You’d think we wouldn’t want to read about people at odds with each another, but nothing could be further from the truth. We want to read about happily ever afters, but we also want to make sure the characters earned it. Until they drop whatever baggage they have and focus on what’s truly important, that happy ending isn’t going to happen. I believe that in general, the harder it is for them to get to that HEA, the more compelling the story. Throw in the romantic tension that should be in every great romance novel, and you have a book that’s almost impossible to put down. Tell us more about HEARTSTRINGS AND DIAMOND RINGS. Alison Carter first made her appearance as a secondary character in TALL TALES AND WEDDING VEILS as the heroine’s best friend. Her dating disasters were well-documented in that book, and as HEARTSTRINGS opens, she’s facing one more (and it’s a doozy!). The wonderful thing about Alison is that she’s an eternal optimist. No matter how frustrated she gets, tomorrow is always another day. She’s no Pollyanna—she just believes that people are ultimately good at heart, and that her best days are yet to come. Brandon Scott, on the other hand, is a wheeler-dealer from way back. He’s been investing in real estate for years, only to see the market crash, leaving him virtually penniless. Then he inherits his grandmother’s matchmaking business, and he thinks he’s hit pay dirt. Set up a few lonely ladies, collect the fee, how hard can it be? Then he meets Alison, and he realizes matchmaking isn’t going to be as easy as he thought. Before he knows it, he’s broken rule number one—never, ever fall for a client! I hope you’ll pick up a copy of Heartstrings and Diamond Rings, and that you laugh your way through it. Be sure to shoot me an email. I love hearing from readers! 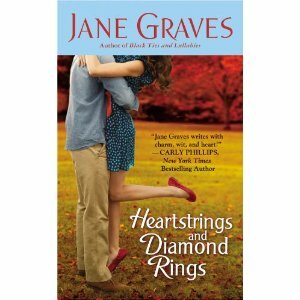 Want to win a copy of HEARTSTRINGS AND DIAMOND RINGS? Leave a comment below and I’ll choose a winner on Monday, October 3. Good luck! Alison Carter has the worst dating record in Plano, Texas. The night she thinks her boyfriend will propose, and he gives her a proposition of a different sort, she realizes she has an uncanny ability to pick losers. So what harm could there be in hiring someone else to choose dates for her? Alison goes to a local matchmaker who’s supposed to be a friendly old woman who’s been in business for years. Instead, Alison discovers that the matchmaker died and her hot grandson Brandon Scott inherited the business. Against her better judgment, she decides to trust him with her money…and eventually, with her heart. But Brandon’s not completely on the up-and-up. Oh, he’ll set her up on dates and try to find her the perfect man. But he’s not the romantic soul he leads Alison to believe he is. In fact, he’s just in it temporarily until he can make enough money to buy some property to develop. By the time he realizes how much Alison has come to mean to him, he also knows she needs a man who won’t lie to her—and that’s one thing he can’t give her. 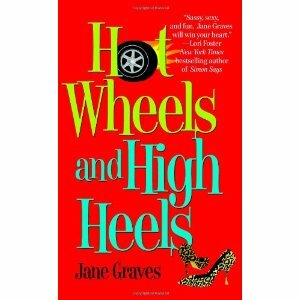 Jane Graves writes books I adore. Her characters are charmingly realistic and her stories are set in a world I recognize and love. Her novels reassure me that real people can find love, passion and commitment right around the corner.